The next-generation Up3 from Jawbone will be one of the thinnest wearables capable of measuring a resting heart-rate. The Up3 will top the existing range of wearables from the company with a price of $229.95 — that’s $50 more than the now mid-range Up24. Adding value to the Up3 is a bevy of sensors tucked into a body that is considerably smaller than its predecessor. These sensors work with improved algorithms to calculate biometric insights and to help automate some of the Up3’s functions. People won’t have to manually enable sleep mode. The Up3 automatically recognises the detailed stages of sleep, such as REM, light and deep sleep. The wearable can also recognise when and what type of exercise is being undertaken. Any exercises the Up3 doesn't recognise can be committed to memory, so that it automatically recognises them next time. Jawbone is adding some context to heart-rate readings by identifying people's resting heart-rate. The Up3 measures heart-rates right when people wake up, before the figures are diluted by coffee or obscured by exercise. The bevy of sensors lining the wearable have been inherited from Jawbone’s acquisition of BodyMedia; an acquisition that cost the company reportedly north of $100 million. These sensors include a tri-axis accelerometer, bioimpedance sensors and ambient temperature sensors, all of which are used to help measure and classify sleep and exercise activity. Future firmware updates will make it possible to track hydration levels, fatigue and stress levels. Unfortunately, company representatives didn't reveal when these updates will be made available. The Up3 works with a smartphones over low-energy Bluetooth. A complementary application presents findings in easy-to-understand graphs, offers the option of food tracking and delivers encouraging notifications in the guise of a ‘smart coach’. People interested in entering the Up ecosystem — but don’t want to spend as much — can buy the introductory Move for $69 instead. The Up Move will record sleep, work as a pedometer and uses flashing LED lights to work as an analogue clock. Move differs to the Up range of products by not being a wristband. Instead it is a pellet encased in different shells; one works as a belt clip and another akin to a watchband. 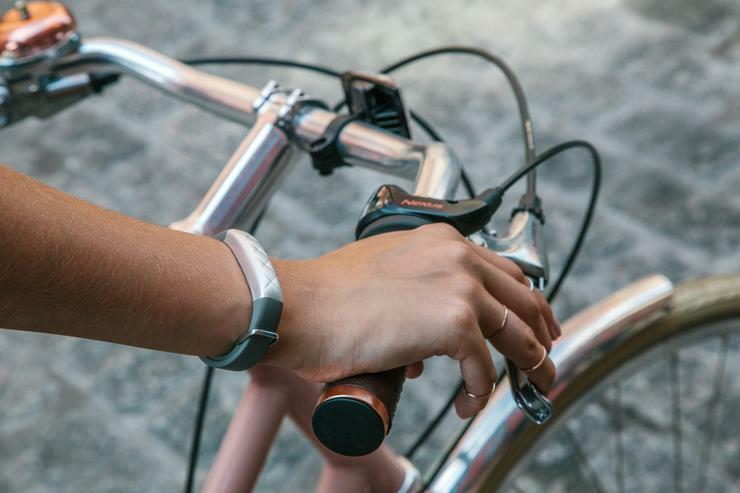 The Move doesn’t need to be charged as it packs a removable battery, which Jawbone claims will last for 6 months. 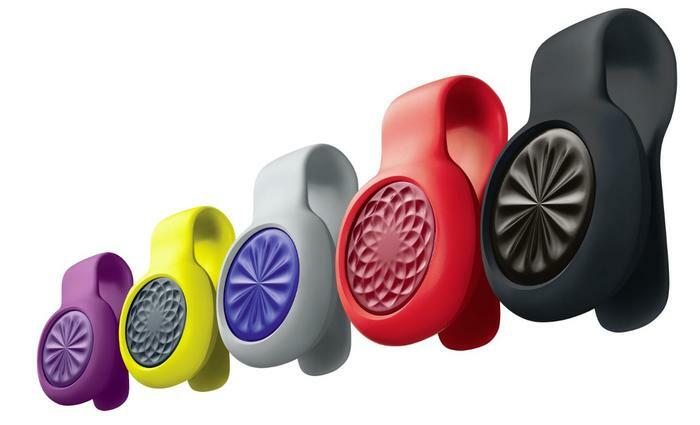 Jawbone will release the Move in November and the Up3 at an undisclosed date before Christmas.